As we’ve reported several times over the past 2 years, MINI will be developing a longer wheel base car meant to accommodate a larger boot and more rear passenger room. We’ve seen it referenced in countless magazines, interview with Dr. Panke, and even in one internal letter. However now we’re finally starting to get a few details on it’s design. The latest AutoExpress has a few bits of new information on the car in this week’s magazine. This new-look MINI will bear a striking resemblance to the current car – after all, why change a winning formula? But it will have a simplified nose, doing away with the present model’s complex ‘clamshell’ bonnet and replacing it with a more conventional item. That would allow a more up-right grille, shaped to more closely resemble the original Austin Mini’s. Meanwhile, sporty models are likely to be offered with an unusual twin-headlamp layout. Yet it’s the estate variant that is expected to see the most significant developments. This new model range will probably debut at the Geneva Motor Show in March 2007, before going on sale across Europe that summer. The Clubman Estate will make its first public appearance towards the end of the year, with the wraps being taken off the entire line-up in Japan and the US in 2008. 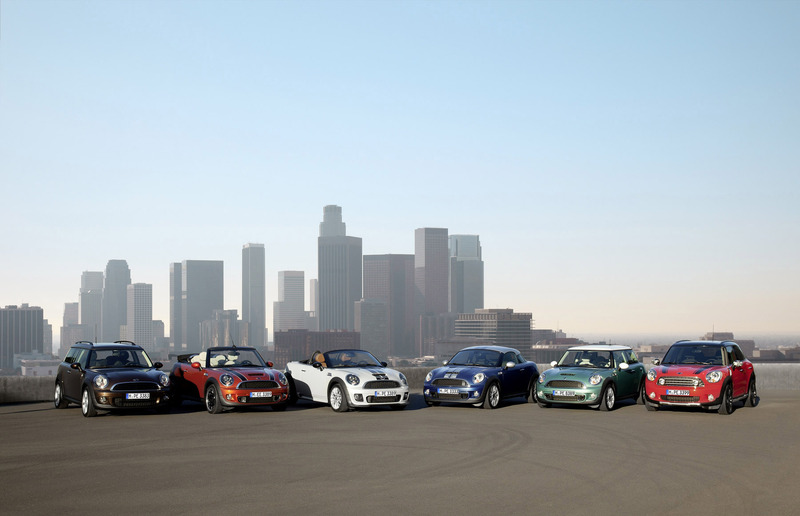 We’ll have a complete wrap-up of all the details on the next generation MINI in the days to follow. In the meantime you can read the rest of the AutoExpress article below. This new product info comes from MINIUSA Press: Motoring into the great wide open requires functional fashion sense — and a sense of fun….